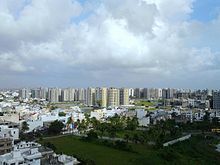 Surat is a city in the State of Gujarat, India. It is on the banks of the Tapti river. Surat used to be a large seaport. It is the eighth largest city in India. Wikimedia Commons has media related to Surat. This page was last changed on 15 August 2018, at 09:28.